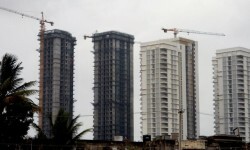 Registering new homes in Noida is set to become costlier with the Uttar Pradesh government proposing to increase the circle rates in the state. The state has also decided to implement a hike in the stamp duty charges — from five earlier to seven per cent now — it had approved earlier this year. Circle rates in various parts of Noida are already higher than market rates, affecting both buying and selling of property. Nearly two months after the National Highways Authority of India (NHAI) had sought some time to complete the construction of the Dwarka Expressway's on the Delhi side, the Delhi government has appointed a panel to identify and acquire land for the high-speed corridor. Of the 27.9-km road project, which has got the national highway status, 18 km will be in Gurgaon while the remaining 9.9 km will be in Delhi. The Union Cabinet has given its go-ahead to introduce amendments to the Benami Transactions (Prohibition) (Amendment) Bill, 2015. Under the Bill, those disclosing assets under the black-money window — the Income Disclosure Scheme (IDS) — will get immunity from the stringent Benami Act. Mumbai-based DB Realty's hospitality arm has joined hands with Anil Ambani's Reliance Group to develop a 1,100-room hotel and the country's largest convention centre at a 7.7-acre land parcel at Delhi airport's hospitality district Aerocity. 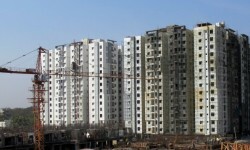 DB Realty had bagged a bid for the plot at an auction in 2009 for Rs 400 crore from the Delhi International Airport Ltd.